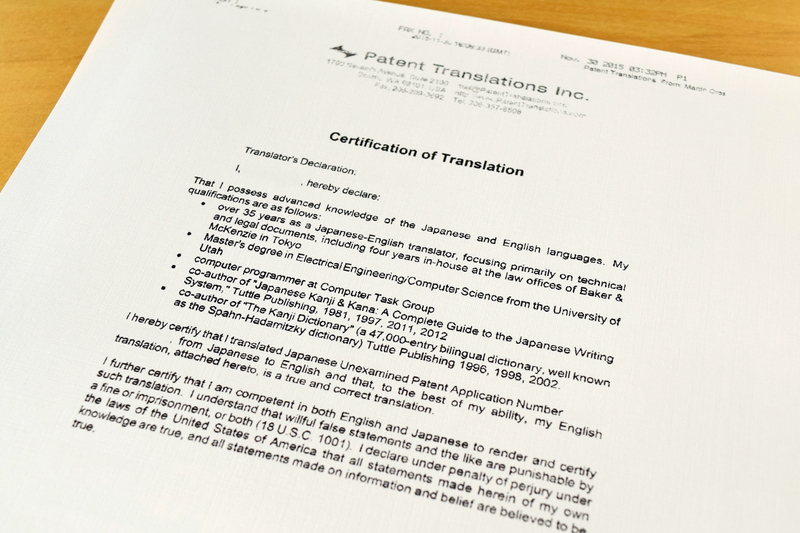 Most patent attorneys have seen their share of sketchy translations. Machine translations routinely end up in prosecution histories and, on occasion, are even submitted to court. Likewise, translations produced with more concern for price and speed than expertise, which may have been suitable for getting the general gist of a document, are commonly used later in proceedings as if they were authoritative submissions. The first two posts in this series outline how to assess the likelihood of errors being present and how to then determine if a specific part of a translation includes a mistake. 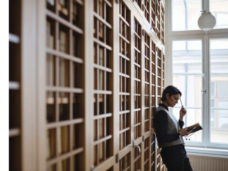 Because translation errors can falsely make it appear that something was (or was not) disclosed at a particular date, they can have a major impact on your case. Fortunately, it is almost always possible to set the record straight in a way that leaves little room for doubt. Attorneys are sometimes hesitant to challenge an existing translation, even if they know it to be wrong, because they worry that the other side will claim that whether a translation is right or wrong is a matter of opinion. It is not. As I have described elsewhere, while more than one correct wording of the same gist may be valid, it is essentially always possible to determine and demonstrate when a translation is incorrect. In fact, given time for reflection on a specific sentence, it is vanishingly rare for translators to disagree among each other in this regard. Both in litigation and as part of editing and review processes, I have seen thousands of errors corrected and have never encountered a situation in which the correct translation could not be clearly established. When commissioning a correct translation that will be submitted in order to challenge the existing translation, you will need to decide between a full and a partial translation. In the last installment, we saw that it is unlikely for a successful challenge to be made concerning the overall meaning of an entire document. Individual words or phrases (or sometimes a group of phrases considered together) are most likely to contain demonstrable errors. Thus, from a time and cost point of view, it would seem sensible to translate only the actual sentence in dispute. Bearing in mind that faulty translations are generally faulty in more than one place, commissioning a new translation will probably result in numerous changes in the description throughout the document. Thus, another advantage of a partial translation is that it does not burden attorneys with extra material to review, and does not risk unintended consequences from changes in other parts of the translation. There are, however, numerous advantages to having the entire text retranslated. The first, and most obvious, is that a full translation heads off any complaints of cherry-picking. But it should also be remembered that consideration of the full context of the sentence does in fact impact the way in which it should be translated. Consider how differently “approximately one hour was required for impregnation” would be translated in a resin strengthening patent and in an article on cattle breeding. And although it is possible to ask the translator to consider the whole document when ordering a translation of just one sentence, the production of a full translation makes this consideration apparent to all. A complete translation may also be useful in demonstrating the inaccuracy of an existing translation, not only in the portion at issue, but throughout, which makes a stronger case for rejecting it. Lastly, while not impossible, it is difficult to provide suitable certification for a translation of just a portion of a document, and even if you do arrive at a suitable wording for the statement, some translators may be reluctant to sign such a certification. Considerable care should be taken in commissioning the replacement translation. As the other side will have every reason to want to discredit it, the translation must be error-free in its entirety. In dealing with translation agencies, you should be involved in choosing the lead translator on the project. At this juncture, even if you don’t expect to have to call the translator as an expert witness, it makes sense to choose them as if you do. It is also a good idea to discuss the wording of the certification or declaration that will accompany the translation at the outset, including any summary of the translator’s qualifications that may appear above their signature. 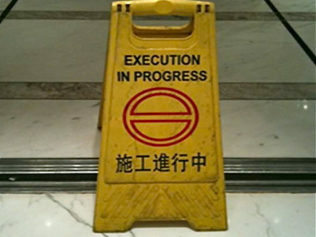 It is important to leave enough time for a good translation. Don’t make the mistake of waiting to the last minute and then settling for the only available translator. The ones with time on their hands are unlikely to be the best. Remember also that, while most translators can produce about three thousand words a day of polished work, quality improves across the board when they can take one or two days between completing their first draft and reviewing their own work. For an important translation of this sort, word-by-word checking by at least one other linguist is also essential and will add a few days to the turnaround time. While you probably do not want to bias the translator by exposing them to the existing translation, there is no benefit to having them work entirely blind. There is nothing untoward in explaining the context in which the translation will be used and indicating those portions of the document that are of particular importance. 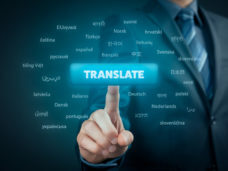 If the translator is experienced in legal translation, this knowledge will allow them to apply the most suitable translation techniques, resulting in a translation that is better able to withstand scrutiny. If you are not sure that submission of the correct translation will be enough to overcome the existing translation, it may be a good idea to have the translator write a report on why the existing translation is wrong. In most cases, these matters are clear enough that no other translator will disagree, allowing the matter to be settled decisively.